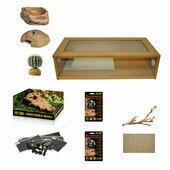 Our Large Royal Python Starter Kit is perfect for new or experience reptile owners. 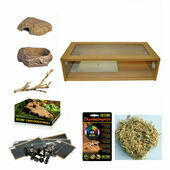 Providing you with all the essentials needed to give your pet a great home to live in. Featuring 7 essential accessories along with a 30 inch oak vivarium. 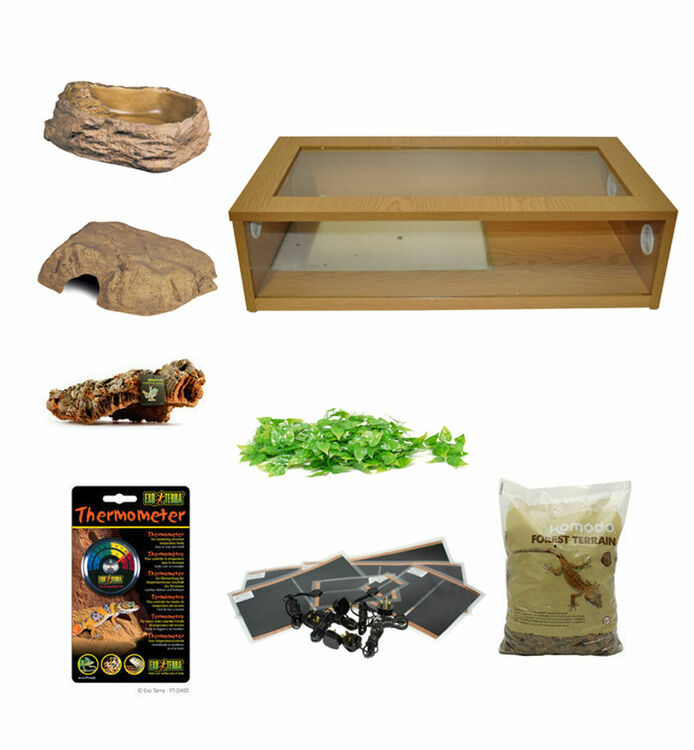 30" Oak Monkfield Vivarium- Favoured by new and experienced reptile keeps alike, the Monkfield Terranium has an undeniably attractive wooden finish and is designed to be as comfortable as possible for its inhabitant whilst also being convenient for their owner to use. 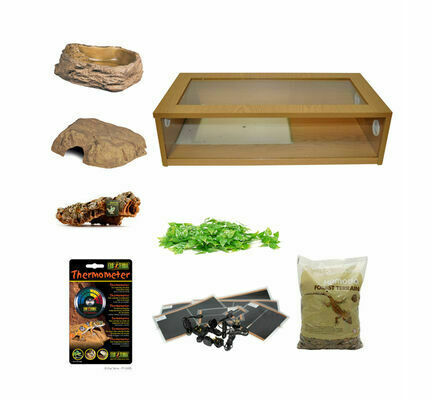 With large glass panels to ensure that your pet can always be observed, these reptile vivariums allow plenty of natural light in and their hinged tops have secure clip-lock on either side to prevent possible escapes. 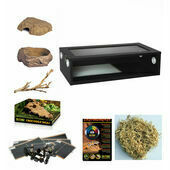 Large Exo Terra Reptile Vivarium Hide Out Cave - Hygienic & easy-to-clean, this hideout cave provides reptiles with a cool, shady place to relax and unwind. Complete with a natural look that will suit all styles of vivarium, its wide, stable base makes it ideal for corn snakes to crawl up and bask on.  Large Exo Terra Reptile Terrarium Water Dish - With a natural aesthetic that will suit any terrarium, these watering dishes have a wide, sturdy base and cannot be spilled easily. Made from food safe materials, their design protects against accidental drowning. Komodo Habitat Bark -Habitat Bark makes excellent shelters and basking spots • Perfect for climbing and hiding • Multiple pieces may be used to make larger structures. 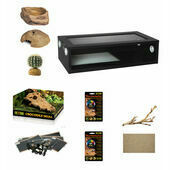 Ideal for use with live plants and mosses Cork Bark has long been used by professional herpetologists, and zoos for it’s many qualities. Cork Bark is long lasting, will not mould in high humidity applications, looks natural in desert applications, and adds to the aesthetics as well as function of any terrarium set-up. 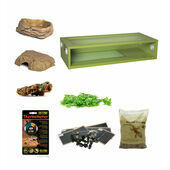 Komodo Philodenron Plant 30cm - Adds beautiful artificial greenery to your reptile home. 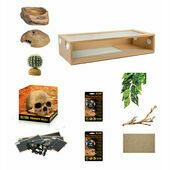 Komodo Forest Terrain - Perfect substrate for forest and tropical set ups.